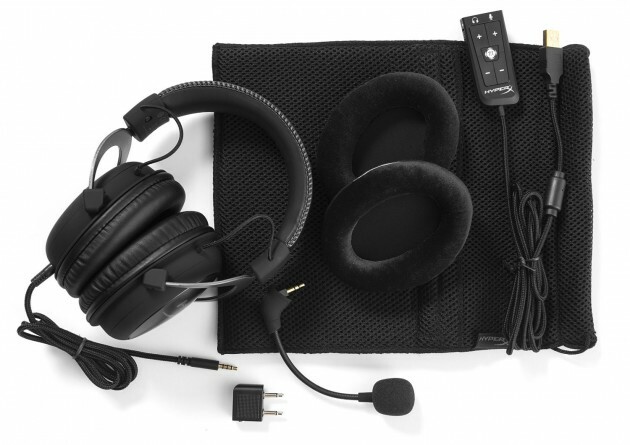 Last year Kingston Technology subsidiary HyperX unleashed its very first headset: the Cloud. For its debut in the pro gaming headset industry it was a home run, thanks to its comfort, pristine sound, and a surprisingly good mic. Most important of all, it was affordable without the need to tone down any of its strongest traits. 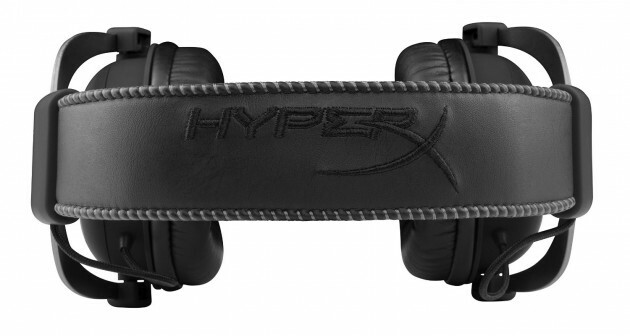 Now a year later HyperX is bringing forth their next headset: the Cloud II. Does it leap forward, or take a step back in the headset game? 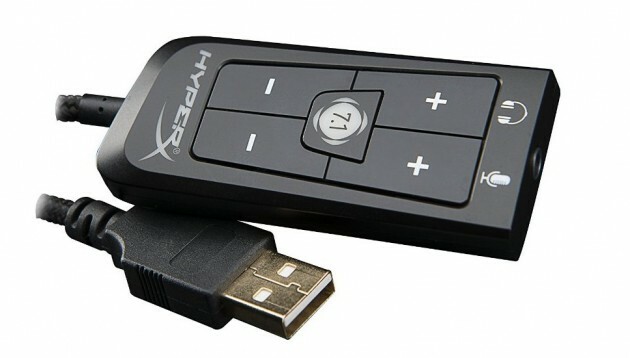 It's difficult to spot the changes that were made to the HyperX Cloud II's appearance. Both have the same detachable mic setup and memory-foamed ear cups. 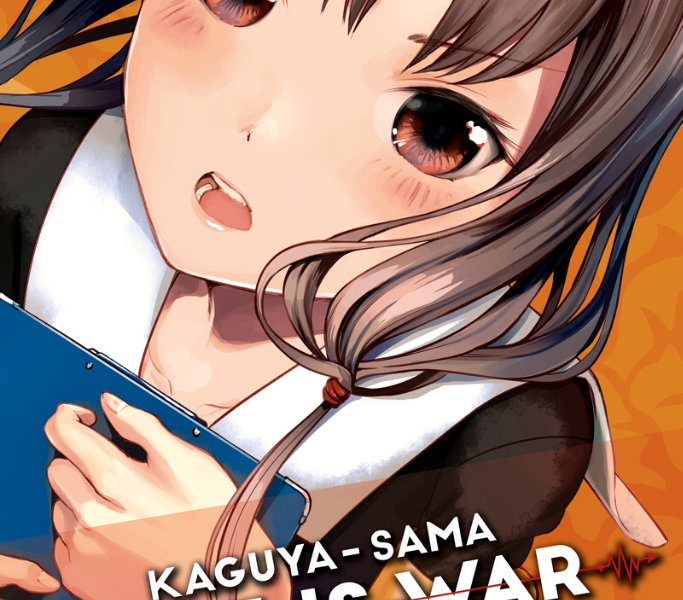 However there are two noticeable differences: the mic and headphone jack now takes up only one plug instead of two, and the headband this time around is also memory-foamed. (In my review of the Cloud I had mistook its band for being memory-foamed, when it was in fact merely soft-padded.) Still the previous design was nearly flawless, so there was no need to attempt to reinvent the wheel with its look. The Cloud II takes what its predecessor did and upped the ante with its memory foam. Once again the ear cups wrap around the lobe, with no part of it pressing down. With the headband's new memory-foamed technology the top of my head lacked any sort of heavy-feeling while wearing them. During one recording session I had the headset on me for nearly six hours straight, and never once did I feel the need to take them off for a breather. Its previous incarnation, meanwhile, had a three-hour runtime before the urge to remove them came over me. For starters there are instructions, so HyperX has evolved in that sense at least. Putting the mic into its jack is as simple as before. The new addition of the USB control box that can adjust the volumes of the headset, mic, and 7.1 virtual surround sound also is easy to assemble, with a mere plug-in-and-go setup that anyone with the most simple of intelligence can figure out. Also back is the much-needed airplane plug, which definitely comes in handy if you don't want to spend $10 on a flight to use their flimsy headphones. Sadly the Cloud II is lacking the cord extender that its predecessor had, which I found to be incredibly helpful when wearing my headset to bed with soft music playing to block out any outside noises. The USB plug is not needed for the PS4, but can be used if you prefer the port over plugging your headset into the DualShock 4 controller. For the Xbox One you will need to acquire the 3.5mm stereo headset adapter in order to hook it up to its controller for usage. Setting up the control box for the PC and Mac doesn't take too long, with some quick changes needed to make in the system settings. However in regards to the mic volume, you'll need to adjust it each time you turn on and off your computer, something I found out the hard way when I had to rerecord a Podcast segment because the sound came in too low. This is when we start getting into what makes the Cloud II such a great bargain. Its 7.1 virtual surround sound encompassed me unlike any other headset I've tried in the past. When playing indie darling Never Alone on the PS4 the cold wind and atmosphere blowing throughout took me over to the point where I could nearly feel the same chills that Nuna and her little fox friend were experiencing throughout the game. The music blaring through my MacBook Pro came in crystal clear, with even the tiniest of details in a song coming through very well. As someone who has had experience with headphones and earbuds from the likes of Sony, Plantronics, and Beats By Dre, what Kingston and HyperX have done here runs circles around the competition. The only downside is that you cannot mute game chat during online play-throughs. At times I don't like the sound of wisecracking players who are more obnoxious than entertaining, and the only way to tune them out with the Cloud II is to mute the volume entirely. 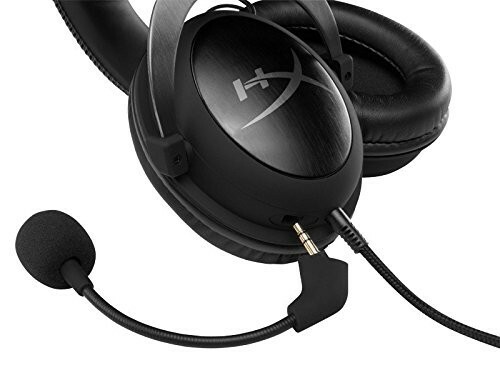 There's always a chance this feature will be added into the next incarnation, so for now I'll be hoping it's implemented in for whatever the following HyperX headset will be called. And thus we have come to the Cloud II's crowning achievement. As a Podcast host I do my best to find the best quality microphone to record my segments with, hence why I usually use the Blue Yeti. HyperX's latest headset nearly reaches the same level of quality. While it can still be a bit sensitive to heavy "b" and "p" sounds, with the usage of the USB sound card there are no more issues with either clipping or filters. Using GarageBand to record and having the sound card mic volume adjusted to its highest setting my voice came in clear without any sort of background noise sneaking from behind. There is one aspect of the Cloud II that even surpasses the Blue Yeti, and that is in the form of Skype chat. As someone who does regular segments of his Podcast via Skype, whenever I record using Audio Hijack Pro with the Blue Yeti for some reason my voice usually comes in far lower than the other people on my show. With the Cloud II my volume matches perfectly with everyone else's, meaning no more having to worry about spending hours in Audacity amplifying my parts ever again! As it was with the first HyperX Cloud we are given a travel case, albeit one that's not fully protective if you were to throw it in your suitcase. Perhaps placing it in your backpack would be okay, but one needs to be aware of what else they plan to put in there so as to position it in a way that it won't break in the long run. If you can find a good headset holder that's durable I'd go for it, but until then the pouch is okay for light traveling. While some headsets can go between $200-$500, HyperX Cloud II's $100 price tag will be enticing to many gamers and those looking for a good hands-free mic set for either the computer or mobile device. 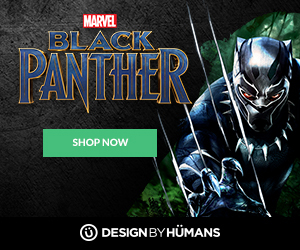 Its design is very durable, and assembling the headset is too easy to fail at. The comfort level is better than anything I've used in the past, a trait that usually only comes with a hefty price tag attached to it. There's no denying how much of a value you'll get from the Kingston HyperX Cloud II. For $100 you get a headset with the most comfortable memory foam technology around, a great microphone that captures your voice clearly without any background noise, and some high quality stadium surround sound encased in your ear buds. If you are looking for a strong headset without having to fork over a lot of cash — or if you are in need of a great gaming headset in general — the HyperX Cloud II is the finest bet you can make. Episode 106: Did I Giggle That Outside Loud?